The U.S. 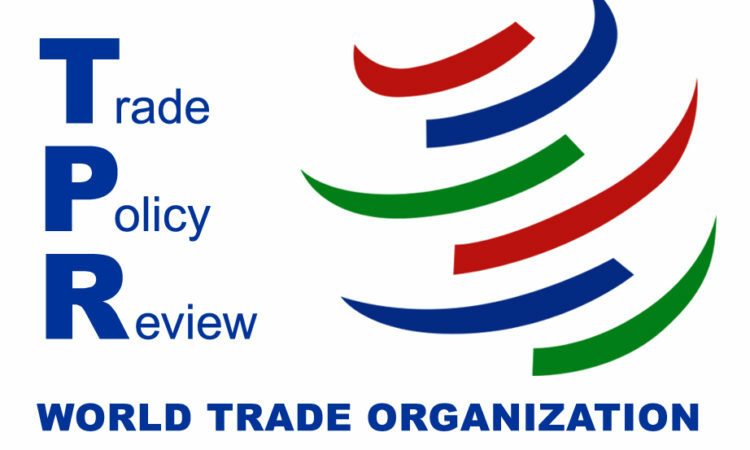 Permanent Mission to the World Trade Organization represents the United States at the WTO and includes officials from USTR, the Department of Agriculture and the Department of Commerce. Statement by the United States at the April 11 WTO Dispute Settlement Body Meeting. Ambassador Shea: "We would like to begin by congratulating Samoa on its first WTO Trade Policy Review." 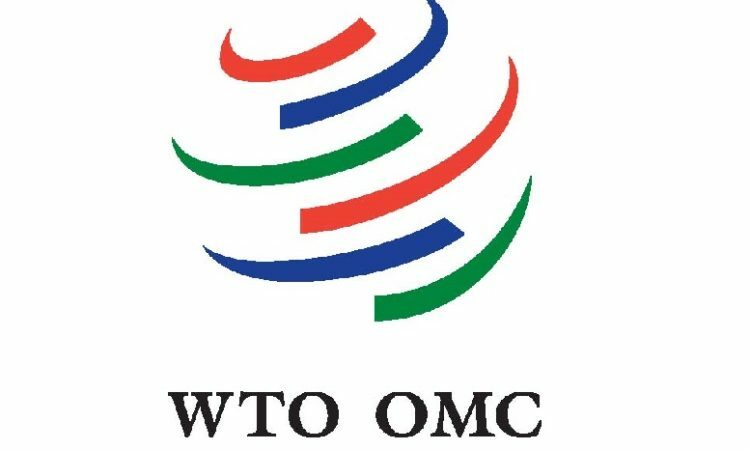 The United States commends Bangladesh’s commitment to bring its trade and investment regime into compliance with WTO rules. 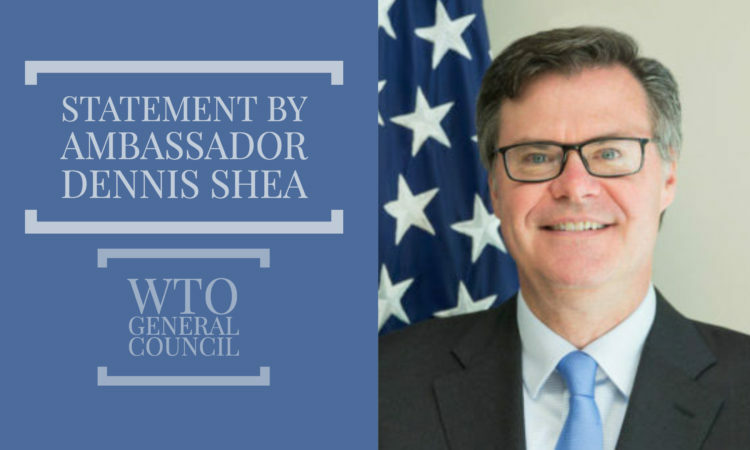 Ambassador Dennis Shea: "This negotiation is an opportunity for a large group of countries to work together to combat these digital trade barriers." Statements by the United States at the Meeting of the WTO Dispute Settlement Body. 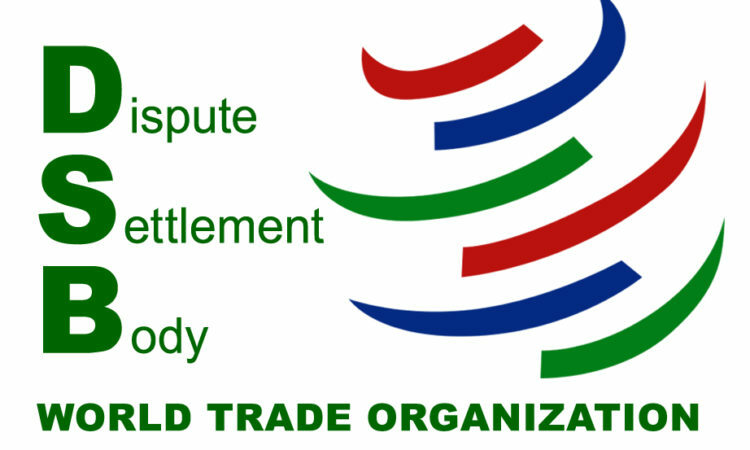 Statements by the United States at the January 11, 2019 WTO Dispute Settlement Body. "We appreciated the acknowledgement from so many that the United States maintains one of the most open economies in the world." Statements delivered by Ambassador Dennis Shea, Deputy U.S. Trade Representative and U.S. Permanent Representative to the World Trade Organization. 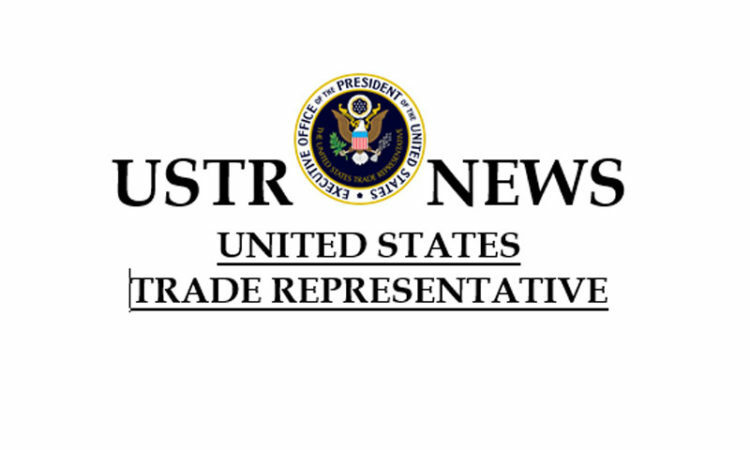 The United States commends Nepal’s commitment to bring its trade and investment regime into compliance with WTO rules. Ambassador Shea: "The United States commends the Hong Kong Government for its commitment over the years to an open and free market economy." Statements by the United States at the Meeting of the WTO Dispute Settlement Body, October 29, 2018. 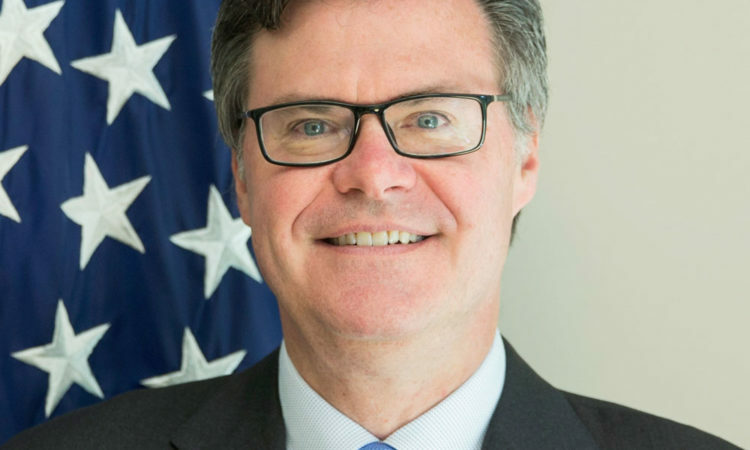 Statements by the United States at the Meeting of the WTO Dispute Settlement Body as delivered in Geneva on September 26, 2018. Today we are pleased to have the chance to review developments since the 2012 TPR and discuss Israel’s recent economic performance. The United States and Norway enjoy a long tradition of friendly relations, based on shared values and principles, including a robust trade and investment relationship. As Colombia’s number one trading partner, the United States has a strong, positive, and growing commercial relationship with Colombia. 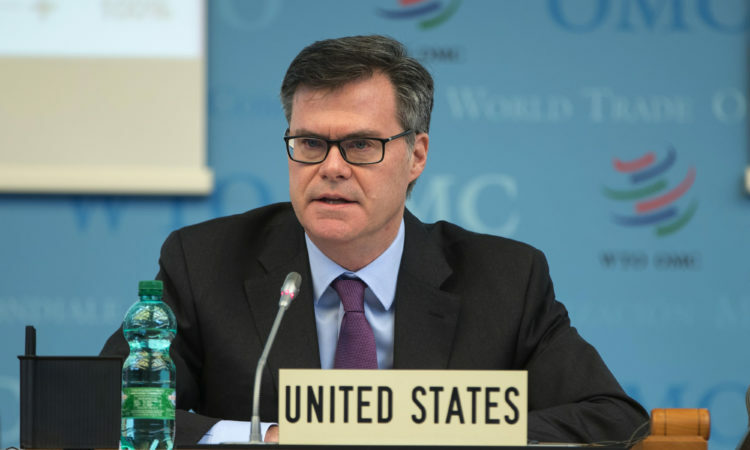 Statements by the United States at the Meeting of the WTO Dispute Settlement Body as delivered in Geneva on May 28, 2018.